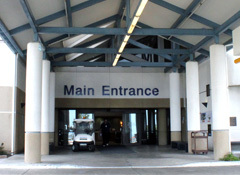 Pregnant women and one adult guest are invited to enjoy a walk-through tour of Sharp Chula Vista Medical Center. We will show you a labor/delivery and postpartum room if available. This tour is also available in Spanish. Go to Recorrido Informativo de Sharp Chula Vista for dates and times.